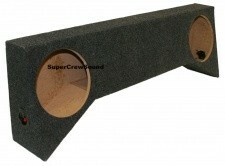 Add a Toyota Tacoma Standard Cab Subwoofer Box by SuperCrewSound and Rock your Ride! Make your friends jealous with the superior sound quality you get from your new hyped stereo. The sound quality improvement achieved by adding a Subwoofer Enclosure is unmatched by any other stereo component - Not only do you hear it – you “feel” it – and it feels GOOD! Here you will find our full line of Single and Dual subwoofer enclosures. 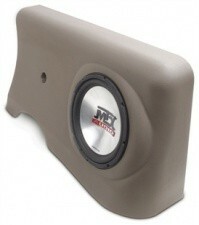 Each Subwoofer enclosure is custom and specific to the Toyota Tacoma Standard Cab. We have MDF and Fiberglass subwoofer enclosures as well as the MTX Thunderform enclosures that come with the subwoofer and optional amplifier. We also have the MTX BassSlammer box which is an unloaded version of the Thunderform. 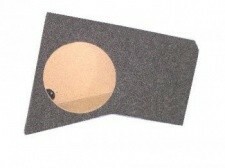 If you need a subwoofer box for your Toyota Tacoma Standard Cab, we offer all the options you would need.